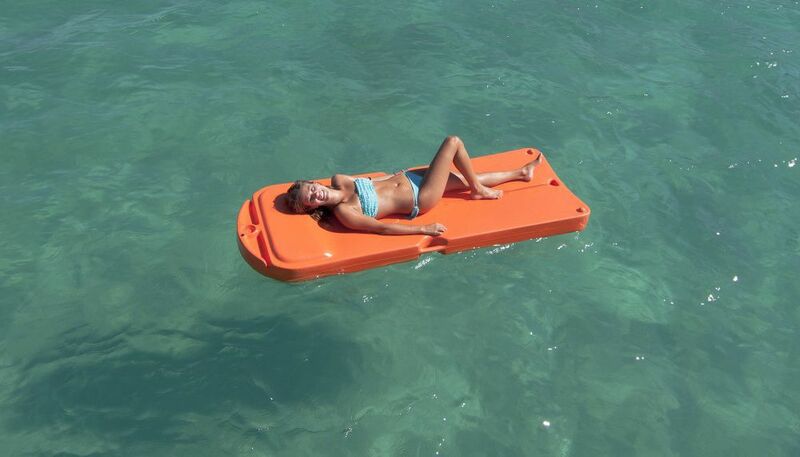 This sunbed is always ready to be used. 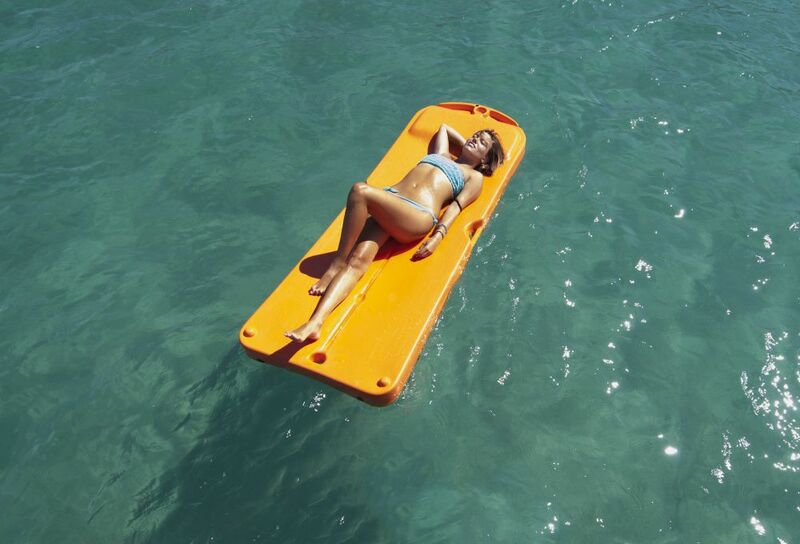 It is comfortable and easy to handle. 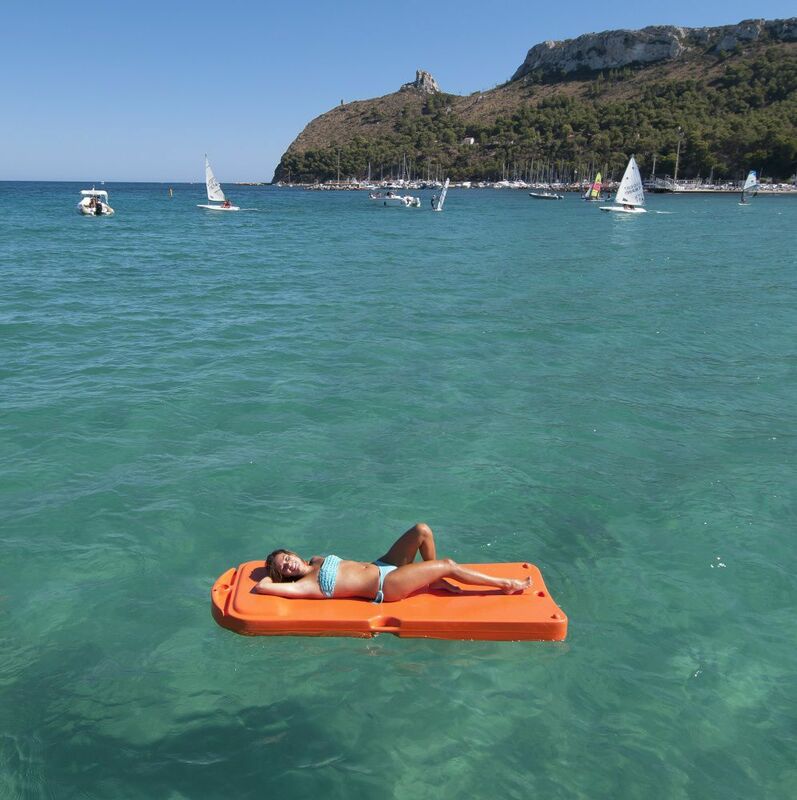 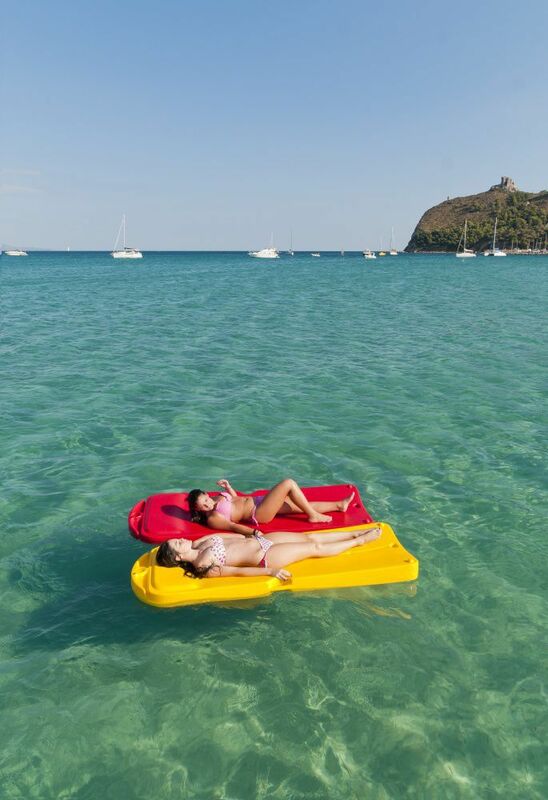 The single sunbeds can be tied together to form floating platforms.